I love the colors in this one... very summery. This one is swimming over to my Etsy shop. I'm excited about taking a beading class learning a new bracelet design.I will share pictures as soon as I can. Hope everyone ios having a great summer.. It is sunny and hot here in Southern Ontario and I am loving every minute! The heat and humidity are not my favourite. 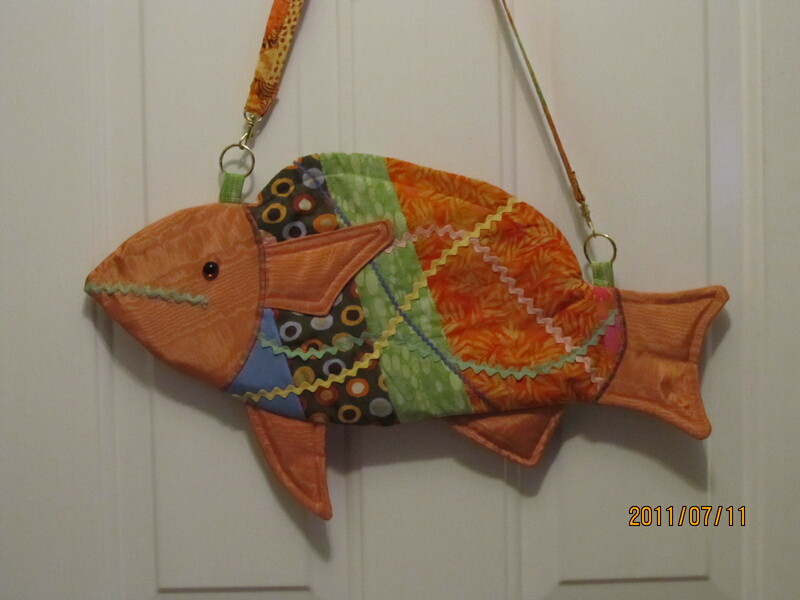 I love your new fish bag. It looks like it was a lot of fun to make. Have a wonderful time in Paris. I think my friend and I will be taking a road trip out to Mary Maxim next month.